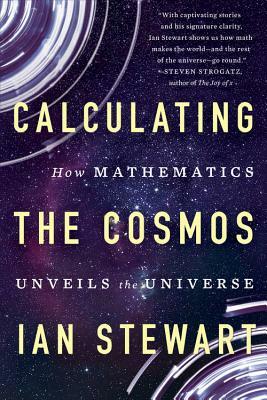 In Calculating the Cosmos, Ian Stewart presents an exhilarating guide to the cosmos, from our solar system to the entire universe. He describes the architecture of space and time, dark matter and dark energy, how galaxies form, why start implode, how everything began, and how it's all going to end. He considers parallel universes, the fine-tuning of the cosmos for life, what forms extraterrestrial life might take, and the likelihood of life on Earth being snuffed out by an asteroid. Beginning with the Babylonian integration of mathematics into the study of astronomy and cosmology, Stewart traces the evolution of our understanding of the cosmos: How Kepler's laws of planetary motion led Newton to formulate his theory of gravity. How, two centuries later, tiny irregularities in the motion of Mars inspired Einstein to devise his general theory of relativity. How, eighty years ago, the discovery that the universe is expanding led to the development of the Big Bang theory of its origins. How single-point origin and expansion led cosmologists to theorize new components of the universe, such as inflation, dark matter, and dark energy. But does inflation explain the structure of today's universe? Does dark matter actually exist? Could a scientific revolution that will challenge the long-held scientific orthodoxy and once again transform our understanding of the universe be on the way? In an exciting and engaging style, Calculating the Cosmos is a mathematical quest through the intricate realms of astronomy and cosmology. Ian Stewart was a professor of mathematics at the University of Warwick. The author of numerous books on math, he has written for New Scientist, Discover, Scientific American, and many other publications in the United Kingdom and the United States.